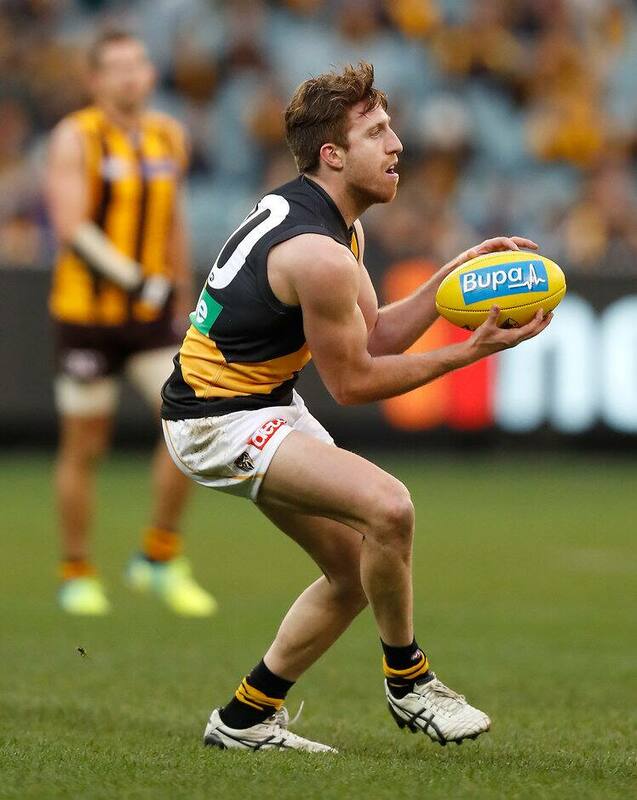 Reece Conca will return from injury via the VFL this Sunday. Richmond’s VFL side will set out to secure its fourth consecutive win when it hosts Geelong in a curtain-closer at Punt Road Oval this Sunday. The VFL Tigers' side will feature 15 AFL-listed players, with three key additions. Tigers veteran ruckman Ivan Maric and midfielder Reece Conca have overcome injuries, while mature-age recruit Adam Marcon returns from senior duties. Talented Richmond youngster Corey Ellis is expected to play a full match after being managed in his comeback from a groin injury in last week’s 44-point win over Northern Blues. Kane Lambert will look to build on his blistering form, after gathering 37 touches and booting three goals against the Blues. The VFL Tigers take momentum into this Sunday’s high-stakes clash against the seventh-ranked Cats, having registered three wins from their past three outings. Richmond VFL will blood a debutant in this Sunday’s clash, with St Kevin’s talent Jack Holden named as the 23rd player. While it marks the beginning of Holden's time at Tigerland, the Round 19 hit-out will mark small forward Jake Aarts’ 50th VFL match. The 21-year-old joined the VFL Tigers in 2015, after spending two seasons with Bendigo. Sunday’s curtain-closer kicks off at Punt Road Oval at 5pm and will already be underway at the conclusion of the AFL match. Free entry for Richmond members and children.